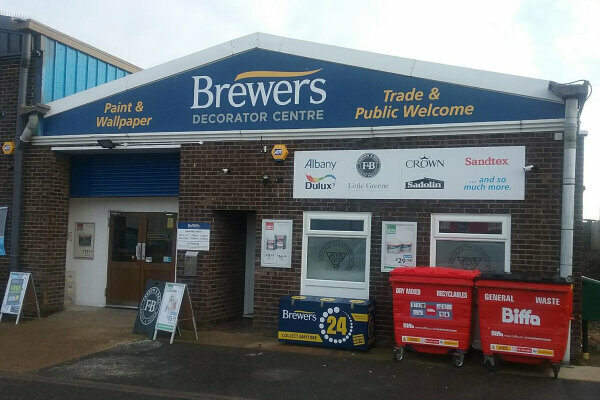 The Great Yarmouth branch, one of the newest branches to the Brewers network, welcomes both trade and retail customers alike. With an impressive display of paints, wallcoverings, decorating tools and accessories, the friendly team will be able to fulfil your needs no matter how big or small. Travelling south on the A47, take the 3rd exit at the roundabout onto William Adams Way. Turn left into Harfrey's Road, then follow the road right onto Morton Peto Road and finally right onto Bessemer Way. Travelling north on the A47, take the 1st exit at the roundabout onto William Adams Way.